An old adage notes that change is the only constant in life, which is an idea the transportation and mobility sectors have acutely felt over the last decade as new offerings rapidly enter the space. Every innovation brings the potential to revolutionize an industry or create a new one, but also the potential for negative consequences, intended or unintended. For example, the booming ride-hailing industry — namely driven by Uber and Lyft —​ has significantly cut into market share and profitability for taxi businesses. Consumers’ considerable shift from taxis to ride-hailing in such a short period of time has led to desperation for some taxi drivers and owners, even to the extent of an increase in taxi employee suicides in New York. But some cab businesses eschew the melancholy mindset and instead turn to modernization to better compete with ride-hailing services. Yellow Cab of Columbus (Ohio) is one business taking that approach. When Kauffman took over the 90-year-old, family-owned business about five years ago, he and his employees looked "at every single thing we did with fresh eyes," and re-examined legacy business practices that hadn’t been challenged for years, he said. Coincidentally, it was also around the time when ride-hailing gained steam in Columbus, “which is why I got into the business a little more aggressively,” Kauffman said. Some taxi businesses have allowed customers to hail a cab with apps for years. But ride-hailing services upped the game on what transportation apps could do. They allowed users to pay directly through the app, but perhaps the greatest distinguishing factor they introduced is showing a flat fare in advance, contrary to the metered trips in taxis. That model gave consumers what they increasingly crave across all goods and services purchases: more convenience and transparency in addition to lower costs. It created a difficult environment for taxi businesses to adapt. Cabs are regulated by the municipalities in which they operate, whereas ride-hailing services traditionally haven’t had the same restrictions, said John Boit, executive vice president for the Taxicab, Limousine & Paratransit Association (TLPA), which represents taxi fleet owners. Taxi drivers had to "charge the rates that were set by that city. 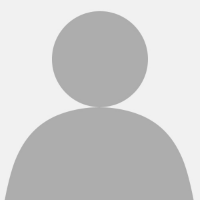 They had no choice," Boit said. The cities are "essentially setting a minimum fare. As soon as you close that door it’s $2.50 for the ride to begin and then we charge 'X' number of dollars per mile.” Cab businesses couldn’t even offer coupons to customers without prior consent from the municipality, he explained. Despite the challenges, “there's a very good reason why cities regulate those fares: It’s so drivers can make money, make a living wage, and so you have continuity of service,” Boit said. Although ride-hailing services generally are cheaper than taxis for the same trip, it’s because those services do not offer drivers the same wages and protections as regulated taxi companies, making their business models unsustainable in the long run. A number of taxi businesses and industry organizations worked over the past few years to improve their apps and the user experience. More than three years ago, Red Top Cab in Arlington, VA upgraded the features on its app to allow passengers to pay with their phone via a credit card-linked account, track the vehicle’s progress and schedule trips in advance. In addition to apps dedicated to one specific taxi business, there has been a rise in universal cab-hailing apps that include all the different taxi fleets within a city. For instance, three years ago Chicago made it mandatory for all cab drivers to make themselves available through a universal cab-hailing app, with the city claiming it was the first to make this move. Arro and Verifone won the contract to partner with the city on the app creation. Similar to ride-hailing services, the universal cab-hailing app gives estimates for fares and wait times, plus a direct payment option. Other cab apps have come about that cover numerous markets. 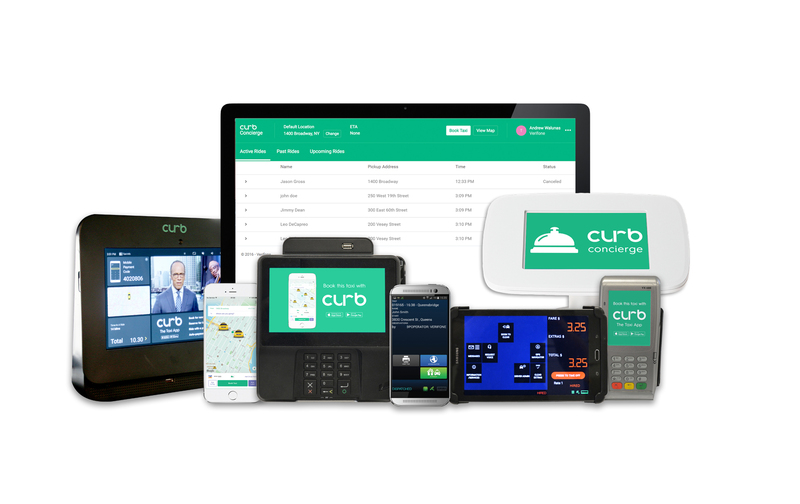 A popular one is Curb, which serves dozens of cities including Boston, Las Vegas, Miami, Philadelphia, San Francisco and Washington, DC. The New York City Taxi and Limousine Commission (TLC) is about nine months into its two-year Flexible Fare Pilot. It uses apps that "offer binding, up-front fare quotes to passengers” so they can pay drivers a flat amount before accepting the trip, said Rebecca Harshbarger, TLC spokesperson. Two companies’ apps, Curb and Waave, already have been approved and are participating in the pilot. Two others, Myle Technologies and Wapanda, have been approved but are not yet operating. The pilot is voluntary both for the technology companies and participating taxi drivers; all can exit the pilot if they so choose. “It is too soon to draw any conclusions, but our focus with the pilot has been to give yellow taxi passengers the same price certainty that [ride-hailing] passengers enjoy… and increase competitiveness in the sector,” Harshbarger said. Yellow Cab of Columbus also allows passengers to pay a pre-determined fare through its app, essentially eliminating the need for most taxi meters. However, Kauffman estimates about 10 of the company’s 200 vehicles still have meters — digital meters, on the driver’s smartphone — for passengers who can’t or prefer not to use a smartphone app to pay. Las Vegas taxis also can be hailed with an app, Kabit, but the app had a unique predecessor: a button, which resembles a game show buzzer, installed at businesses around the city that people push when they need a cab. The device sends a signal to the nearest available taxi through Wi-Fi or cell signal. Yellow Checker Star taxi company rolled out the buttons in 2017 to boost the speed of dispatching and to compete with the speed of on-demand ride-hailing services. Now, more than 400 Las Vegas businesses exhibit the button. Last month, some acquisitions led to a taxi industry consolidation in Las Vegas — reportedly with the intention of streamlining and further speeding up service — and after the newly acquired taxis have the proper hardware installed, 80% of the city's cabs will run out of the same dispatch center and be available through the Kabit button and app system. "In today's market, there’s no question that if you want to be competitive, you have to have an app," TLPA’s Boit said. Cab businesses are innovating in ways besides apps to appeal to customers’ changing tastes. Among the strategies: a focus on sustainability and the addition of electric vehicles (EVs) to a fleet. "Electric vehicles are becoming very popular right now," Boit said. 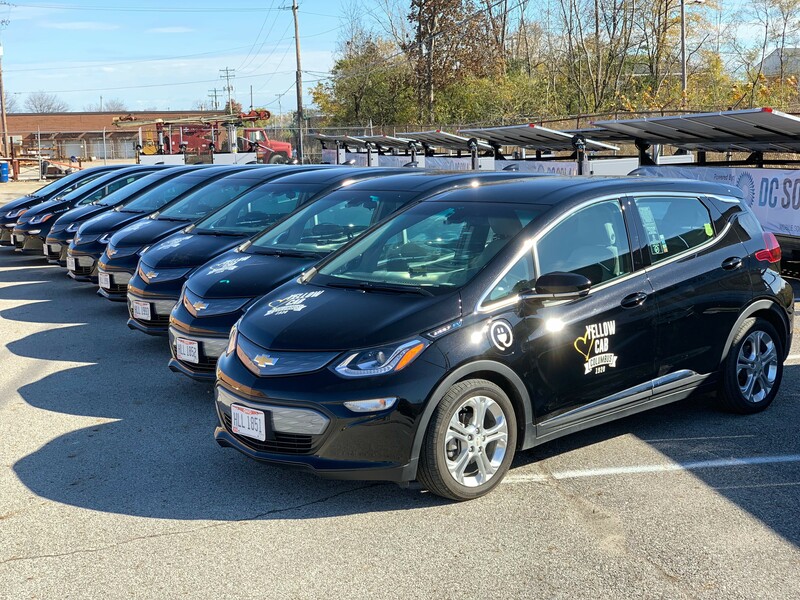 Yellow Cab of Columbus has been replacing its older, gas-fueled vehicles with hybrid models, and it recently purchased 10 battery-electric vehicles. It acquired the EVs with assistance from Smart Columbus’ rebate program intended to incentivize private transportation providers to switch to more sustainable vehicles. Three years ago, Washington, DC pushed for cab drivers to purchase EVs to improve sustainability. Some drivers who got on board now are frustrated with the expense of owning and operating an EV cab, exposing a major challenge: adequate EV charging infrastructure. Fast-charging infrastructure is particularly important to taxi drivers so they aren’t stuck spending valuable minutes or hours recharging when they could be picking up fares. In addition, long battery life in modern vehicle models is critical. Consider that a taxi could travel 200 miles during the course of a day, but most currently available EVs only have a range of 50 to 150 miles on a single charge. U.S. taxi business’ uptake of EVs has been slower than places abroad. By contrast, the concept is rapidly spreading through China. In Shenzhen, nearly 95% of the cabs now are EVs. The main reason China’s taxi industry has experienced such rapid and widespread EV adoption is the federal government's operating structure, specifically the practice of instituting regulations quickly and subsidizing certain industries, Boit explained. Domestically, other taxi business innovations include fleets undergoing rebranding, ranging from removing the word “taxi” from their names to painting vehicles in more muted colors. Painting vehicles gray or black — as Yellow Cab of Columbus did with its EVs — helps them blend in better with other transportation, rather than sporting bright colors like yellow that immediately identify them as taxis and thus trigger consumers’ outdated perceptions of how taxis operate, Boit said. Yellow Cab's fleet of black EVs. Fleets in about two dozen cities joined TLPA’s “ride local” branding program, which is similar to the “shop local" and "eat local" movements. "This is a way to remind people… that you should ride local, too — support your local transportation company,” Boit said. That collaborative campaign, orchestrated by an industry association, illustrates the onus isn't completely on taxi companies to innovate, either. In some cases, governments are stepping in as well. "There has been a great deal of work under Commissioner Joshi to remove outdated taxi regulations that no longer serve a useful purpose," said New York TLC's Harshbarger. One example of regulatory change is loosening taxi leasing terms. A pilot in 2017 and 2018 led to Brooklyn-based NYC Taxi Group creating a smartphone app for drivers to flexibly lease taxis at times that are convenient for them, rather than being forced into longer-term leases. Some cab businesses are diversifying and marketing specialty services to nuanced markets, such as trips to and from non-emergency medical appointments or providing fixed-route, bus-type service. Others cater to disabled passengers. Vehicle manufacturers are helping out on that front too, including Toyota, which announced last month that it’s improving its taxi model that loads passengers in wheelchairs into the vehicle. The improvements will cut boarding time to about three or four minutes, for a two-thirds time savings, making it more attractive for taxi drivers to delve into this niche market. “The smart taxi fleet owner today is looking at a multitude of business lines and understanding that you never stop innovating and upgrading your operations. Because if you don't do that, you'll be left behind,” Boit said.